Fresh vegetables, from a local farm to your kitchen: that’s community-supported agriculture (CSA). With CSAs, you pay a farm for a “share” in what it produces over the season, and the farmers provide you with a regular order of fresh vegetables, usually every week. 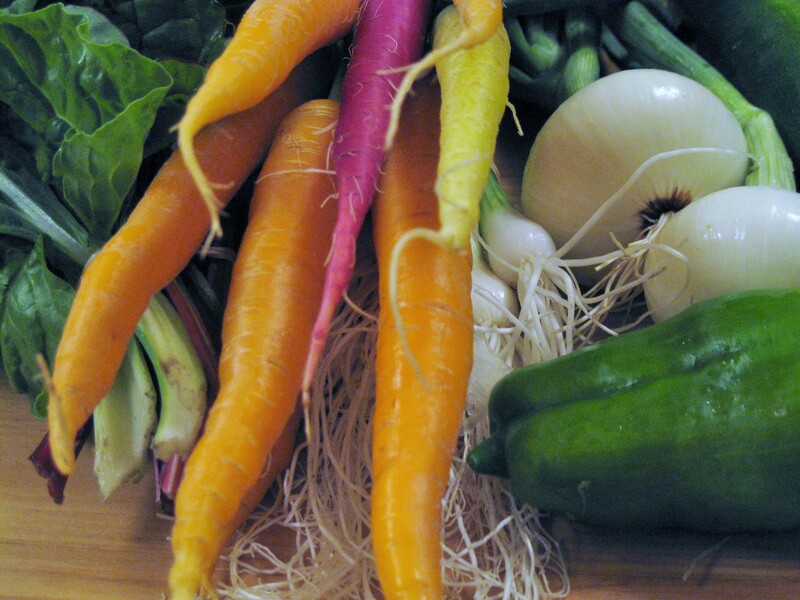 CSAs are a great way to eat local; many of the farms are organic. You’ll also be supporting local food producers, who benefit through a more stable income source. Of course, you’ll be getting a variety of healthy produce, usually vegetables and herbs. Some CSAs allow you to order eggs, poultry, beef or other products. Most CSAs offer half-shares or a range of share sizes depending on how much you think you can use. They usually also have ways to work around your holidays, if you’re away for part of the summer. The producers often include newsletters with recipes, organize farm visits or have other ways of engaging their customers, so you get to try new foods as well as get to know more about the people growing the food. There are more farms than ever offering CSAs around Ottawa. Farms usually deliver to drop-off points around the city, so you can look at their offerings and find one that delivers near you. You can search for CSAs on Just Food’s map at http://justfood.ca/buy-local-food-guide/. Ottawa C.S.A. also provides a map of CSAs by drop-off point and lists several local CSA farms. There’s also the Ontario CSA Farm Directory at http://csafarms.ca/index.html. I’ve had CSAs from Roots and Shoots and from Karen Farm at the Just Food Farm, but as you can see there are lots of options. Farms and CSA offerings vary, so check that too. Here’s a list of CSA farms I compiled, in alphabetical order, with links to their websites. Check the websites or contact the farms directly to confirm whether they’re offering CSAs—and do let me know if I’ve missed any.